make it perfect: .The Versatile Wrap Sew-Along. Are you a fan of The Versatile Wrap? Want to make one but you're not a confident sewer? Need some motivation to stick with a sewing project and get it completed? 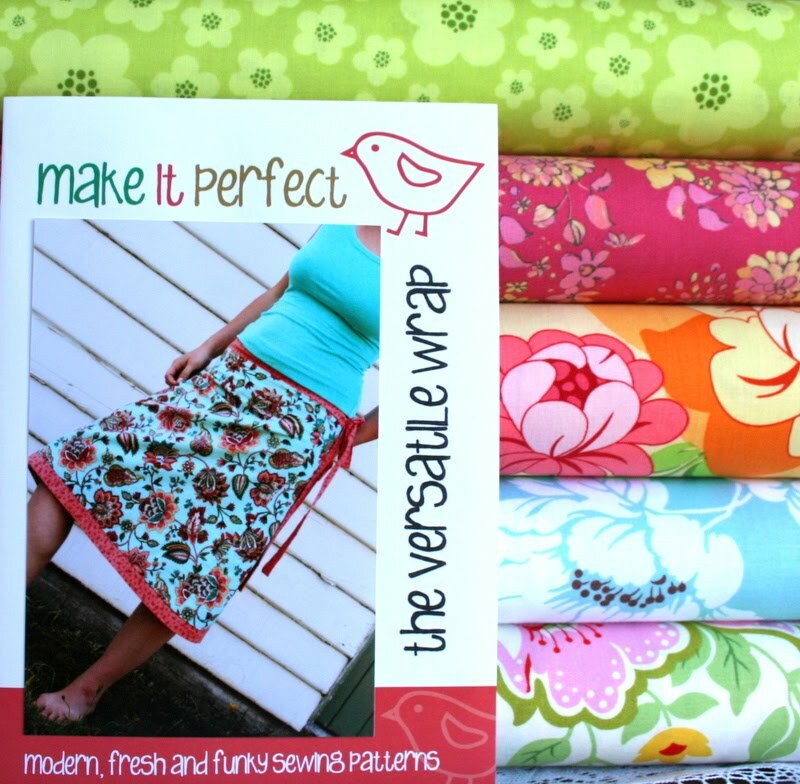 Randi, over at Fresh Squeezed Fabrics is hosting a Versatile Wrap Sew-Along! Get set with your Versatile Wrap pattern, some fabric and on the 26th May you can join with Randi and other participants to sew a Versatile Wrap together! To kick off the sew-along, Randi is offering Versatile Wrap patterns and kits in her store for 15% off. You don't have to purchase the pattern and fabric from her, but it is a great deal! If you already have a copy of The Versatile Wrap but have never used it, then now is your chance to dig it out of your pattern stash and put it to good use! Go to Randi's blog for more information. I'd love to have a go at this pattern if I can drag myself away from my quilt making for a moment. How many quilts does one girl need anyway? But, I do need some skirts - desperately. Look's like its very popular - sold out already. I'll have to shop around a bit.